Collins Booksellers - Bigfoot Lives in Idaho by Becky Cook, 9781311350619. Buy this book online. It&apos;s late at night and you are sitting around a campfire when someone starts telling yet another Bigfoot story. 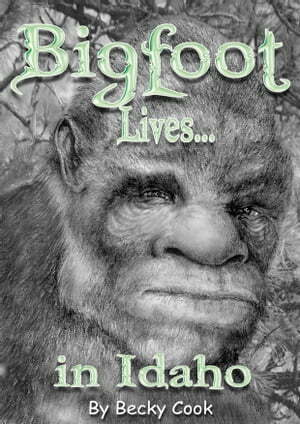 You ask yourself - are they really real?If you have ever wondered if Bigfoot exists, this is the book to read to find out. He not only exists, he lives and thrives here in Idaho. This book captures a cross section of stories from across the state. They tell the tale of sightings - the smell, the size, where they were and how it happened. "... he was easily seven and a half feet tall and roughly 800 pounds of muscles and hair - not any fat on him. It had both dark hair and dark eyes and it was obviously a male. It seemed unconcerned ... "
"If he wanted to he could have ripped me in half,"
So what really happened? Are they really real? Read the book and decide yourself.